An inexpensive way to travel from place to place is by riding a scooter. It’s a good alternative to owning a bike. A scooter is smaller, easier to learn, and usually less expensive compared to a bike. It also requires less force and energy because you won’t be extensively using your leg muscles. However, they both work in the same way that they add a way for you to travel to your destination. There are various kinds of scooters with different parts and forms. Some require a battery while some simply require a kick to make it move. Scooters ranges from the well-known electric motorcycles to the traditional kick scooters. This article simply talks about the two common scooters that are in the market. Electric scooters are powered by electricity while kick scooters aren’t. That means with an electric scooter, battery and time are factors. You would need batteries to control your scooter and you should be aware of how long the batteries last. You can’t ride an electric scooter forever. With a non-electric kick scooter, all you need to do is use your foot to hop on the board and the other foot to kick for movement. It’s more practical and inexpensive compared to an electric scooter. However, with a kick scooter, you’ll only go as fast as your legs can. 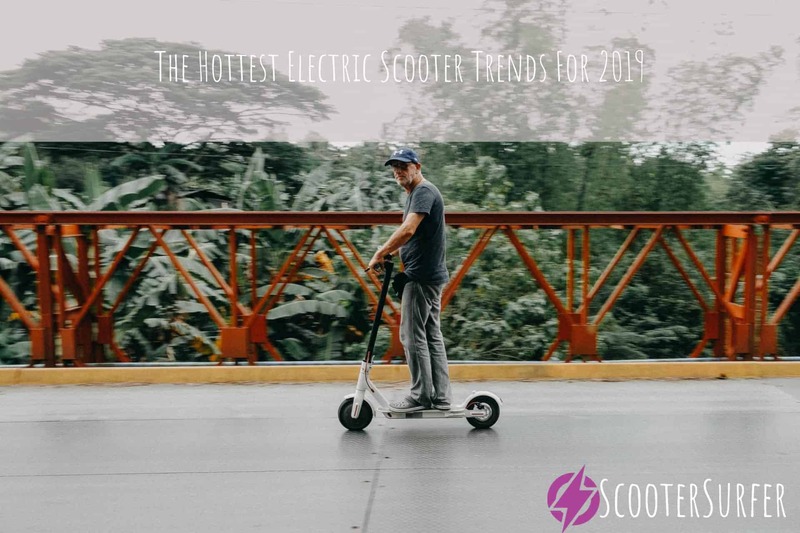 An electric scooter, on the other hand, can go up to 12 mph or more, depending on the design and features of the scooter. Kick scooters vary from one another. Some are made of aluminum and steel while some inexpensive ones are made from plastic. Their wheels are usually made of durable polyurethane and its handle grips could be rubber or plastic. Some manufacturers even care about the environment by using strong eco-friendly materials. It all depends on the manufacturer. A good way to know how durable a scooter is through knowing the materials. If the scooter is made of high-grade aluminum, then that’s a good sign. It’s also important to know the maximum capacity of the scooter. Some scooters can carry up to 160 lbs while some can only carry half. Knowing its capacity gives you an idea on how much the scooter can take. There are scooters that are foldable and has detachable head-tubes. With a foldable scooter, you can take it with you anywhere and have an easier time storing it. That’s the same with a detachable head-tube. They can also be light or heavy, so be sure you’re getting a lightweight but durable scooter for an ease of use. The speed of an electric scooter depends on each kind of scooter. Some can run up to 12 miles per hour while some can run more or less. They all vary from one another and it’s a matter of preference when it comes to speed. 12 miles per hour is a fast ride, so be sure to be aware of your surrounding and perhaps wear a helmet for safety. To assure a safe ride, don’t forget the controls of the scooter. You should always know where the brake is before using a scooter. This reduces the risk of accidents. 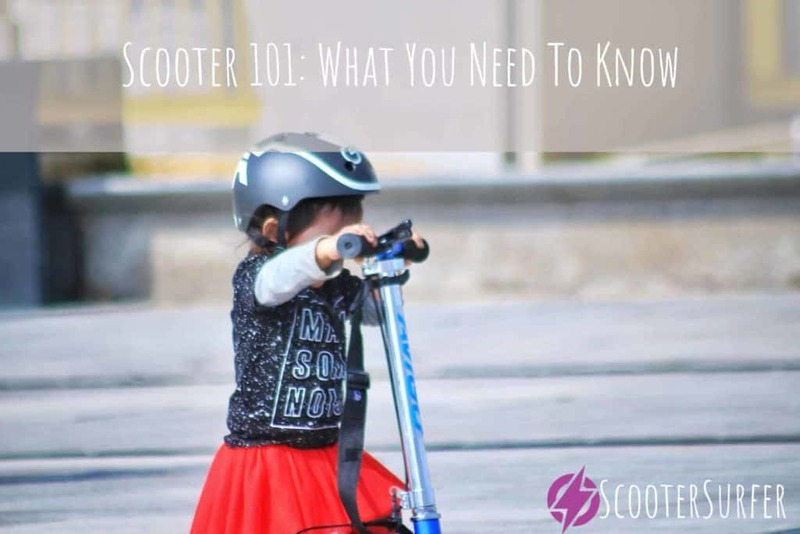 The features and parts of a scooter varies, but knowing the different characteristics can give you a better idea of what kind of scooter fits you best. Scooters can be used by anyone, and this includes children. There are scooters specifically designed for young growing children. Mini scooters are usually made for 2-5 year-olds. These scooters are small to fit the child’s needs. They can also come with an adjustable bar height that you can modify when the child grows up. With that feature you won’t have to constantly buy new scooters for your child, just simply adjust its height and then it’s good to go. A good example of a mini scooter is the Vokul Mini Kick Scooter. It can give a safe and fun way for you and your child to bond. There are also scooters made for older children. An electric scooter that’s designed for 6-14 year olds is the Maxtra E120. It’s a great scooter that offers affordability and durability. Electric scooters run with a battery-powered motor, so they would need time to charge to give a smooth ride. Teenagers will have a fun time using an electric scooter because of its easy-to-use mechanics. They simply have to hop on the board and maneuver where they would want to go. Before purchasing, you should always be aware of the precautions of owning and using an electric scooter. A certified scooter has met the USA Compliance or has a CE Marking on it. A CE Certification means that the product met the European Union’s safety and legal requirements. This gives the product reliability and is proven safe and legal. It’s also important to know that electric scooters aren’t supposed to be used on public roads. You can only use a scooter on shared paths and pavements. Did you know that there’s also a speed limit when riding an electric scooter? Speed limit depends on where you are so it’s different for each region. In British Columbia, Canada, you can go as fast as 32 kph but in Singapore, you aren’t allowed to ride past 25 kph. Different regions have different rules, so be aware of the rules your state has. 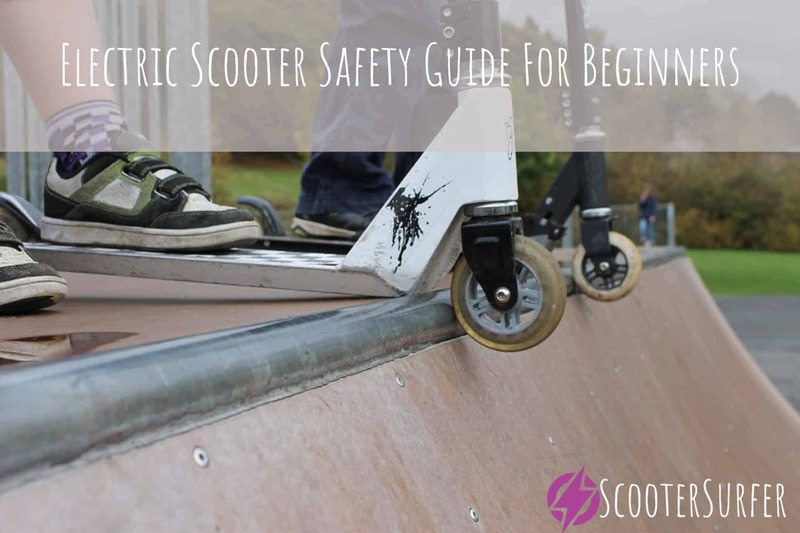 It’s also vital to know that most scooter manufacturers recommend absolute supervision when children use their products. Riding a scooter isn’t the safest activity, especially when it comes to minors, so be sure to keep your eyes on your children. Advise them to wear helmets and kneecaps to be safe. Not all electric scooters can run on rough roads, so be aware of that too. It’s best to use a scooter on a smooth pavement where you wouldn’t risk yourself falling face first on the ground. Owning a scooter is a wonderful way to have fun with. It’s easy to operate and exciting to use. You could go to different locations while having fun. Scooters come in different forms and sizes, so be sure to know what you’re looking for before purchasing. You can choose from a kick scooter or opt for an electrical one. It doesn’t matter if you’re using it for yourself or you’re giving it to your niece or nephew, there are scooters available for everyone. Always be cautious of safety regulations and know how fast your electric scooter can go. No one wants to cause accidents on the road, so be aware of your surroundings. 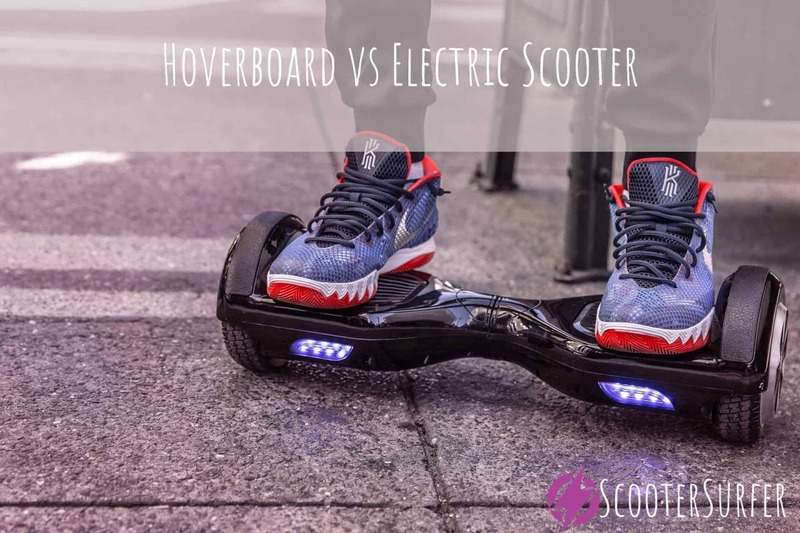 Hoverboard vs Electric Scooter | Which Is Better?